In between creating beautiful websites and brands, the team at Lesli Ink created the 2016 Cast of Characters, a project made to give back to their clients. Lesli Ink partnered with us at Hot Pop Factory so we could bridge between the digital and the physical and bring their illustrations into reality as a high-quality physical product. 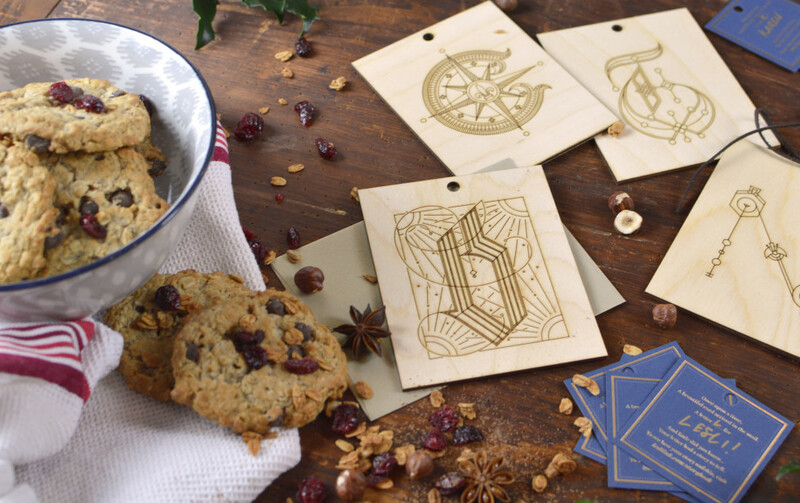 To walk the joy-bringing walk, Lesli Ink sends every client his or her initial in the mail every year, with a little card attached that point them towards an online portal where they can win home made cookies for guessing riddles. 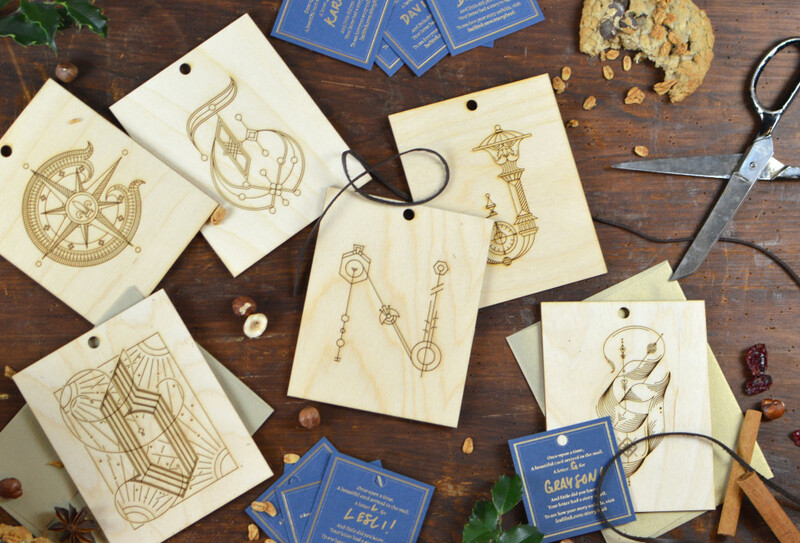 The team decided early on to use laser engraving to produce these cards because they liked the look of engraved wood. 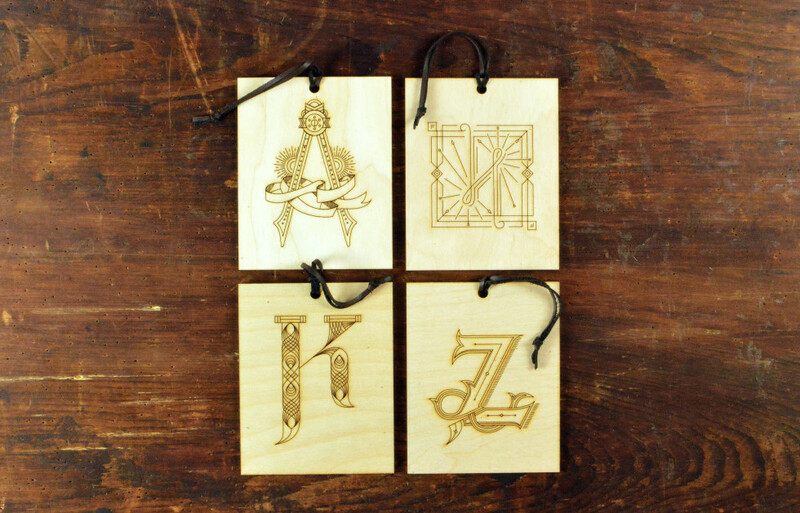 Using wood also makes a keepsake that will last for many seasons, as opposed to paper cards that are usually thrown out after just one season. The team designed the letters based on gilded letters, but kept them clean by using one line weight and no solid sections. This also expedited the production process – they had 800 cards to make, after all. Lesli Ink reports that the 2016 Cast of Characters project was an overwhelming success. Soon after the gifts were sent out, clients sent Lesli Ink photos of their initials adorning Christmas trees and fireplaces. If you want to start your own project, give us a shout.